When billionaire Google co-founder Sergey Brin and 23andMe founder Anne Wojcicki (picture on the right above) were still married, they created the Brin Wojcicki Foundation and began to establish an impressive record of giving. Most notably, major support went to the Michael J. Fox Foundation for Parkinson's Research. Sergey Brin carries a gene called LRRK2, associated with higher rates of Parkinson’s. Anne and Sergey were also among the founders of Breakthrough Prize, the annual $3 million prize to support physics and life sciences research. Anne is a pioneer in the personalized health space through her genetic testing company, and her philanthropy has tracked with this. Substantial funds from the Brin Wojcicki Foundation also flowed to environmental groups, anti-poverty work in the Bay Area, and other causes, like the Wikimedia Foundation. 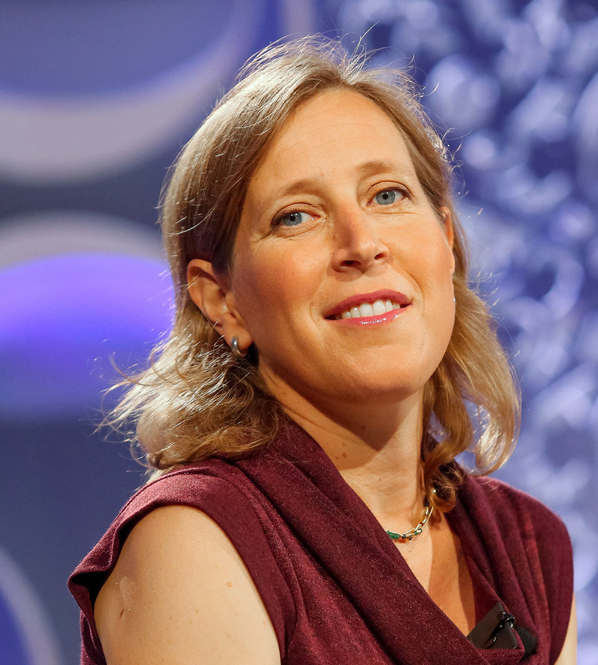 The Brin Wojcicki Foundation is still in operation, according to a spokesperson for Anne. But it's hard to say where its grants have been going lately. The most recent 990 available is from 2015, when it reported $866 million in assets. Meanwhile, in 2014, after Sergey and Anne separated, they both established their own foundations. At the end of 2016, Sergey's foundation held just over $1 billion in assets, while Anne's held $371 million, most of this wealth from the Brin Wojcicki Foundation, which transferred $275 million to the Anne Wojcicki Foundation in 2015, the same year the couple finalized their divorce. The assets of Anne's foundation—which may well be larger now—make it a pretty sizable grantmaking entity, and one that's received almost no public attention. The foundation's tax returns list only two trustees: Anne and her older sister, Susan Wojcicki. Susan and her husband Dennis Troper also engage in giving through the Troper Wojcicki Foundation, which has been around for more than a decade. Better understanding these Wojcicki charitable vehicles is useful for a number of reasons. First, Anne and Susan are among the most successful women in tech. Anne has an estimated wealth of $1 billion and Susan—Google's 16th employee and current Youtube CEO—is worth $350 million by some estimates. (Dennis is the head of Wear OS at Google). That Anne now has her own foundation suggests that she will eventually deepen and personalize her giving, focusing on other causes that have long been her passion. Additionally, the Wojcicki sisters are only in their mid and late 40s, meaning that there's still much more time for these Bay Area tech winners to give. While we've written about other sets of siblings engaged in philanthropy—like the kids of Warren Buffett or Jim Simons—usually, they're giving away inherited money. The Wojcicki sisters are a different story, and yet another example of the rising role of women in philanthropy. The Anne Wojcicki Foundation gave away $11.25 million in a recent year, mostly to a donor-advised fund set up at Schwab Charitable. The foundation's grantmaking also directed money to the Los Altos Community Foundation and the University of California San Francisco Foundation recently. Anne and Susan's middle sister, Janet, an anthropologist and epidemiologist, is an associate professor at UCSF. Expect education to loom large on this family's radar. The Wojcicki sisters' parents, Stanley and Esther, are pioneering educators themselves. Stanley fled Poland for Sweden in the late 1940s before coming to the states and attending Harvard and UC Berkeley. At Berkeley, Stanley met Esther, whose parents were Russian Jewish immigrants who eventually landed in Southern California. Stanley went on to become a prominent physicist and headed up Stanford's department of physics. And Esther is a longtime high school teacher who founded the Palo Alto High School Media Arts Center, which has since become one of the largest high school journalism programs in the country. The Wojcicki daughters followed in their well-educated parents' footsteps. Anne attended Yale; Susan, Harvard, UC Santa Cruz and UCLA; and Janet holds degrees from Stanford, UCLA, Berkeley and UC Davis. Susan has been particularly vocal about paid family leave and gender equity in Silicon Valley, and was Google's first employee to take maternity leave. She's also passionate about empowering young women in STEM and helping Syrian refugees, causes which the foundation could focus on in coming years. Janet's interests, meanwhile, include obesity in high-risk populations; she also has an interest in sub-Saharan African populations, examining the relationship between nutritional factors and HIV and HHV-8 infection and progression. Through the Troper Wojcicki Foundation, which gave away around $1.6 million in a recent year, Susan and Dennis appear to prioritize education and Jewish causes. Susan supports her alma maters, Harvard and UCLA. The couple has also recently supported Menlo School and Room to Read, which works to improve literacy and gender equality in education in the developing world. In terms of Jewish organizations, Susan and Dennis have supported places like Oshman Family JCC, Gideon Housner Jewish Day School, and American Joint Jewish Committee. They've also supported Computer History Museum. While it's likely the Wojcicki sisters will deepen their giving through these foundations in the coming years, the family's connection to Sergey Brin is notable. Indeed, the Google billionaire's connection with the family goes back around two decades. A young Susan and Dennis rented out rented extra space to Sergey and Larry Page, then Stanford students who got Google off the ground in the couple's garage. It's through this relationship that Anne met Sergey. And speaking of Sergey, it's worth saying a word or two about his emerging track record as an independent philanthropist, post-divorce. While funds from his foundation have flowed for Parkinson's research, as you would expect, Brin's biggest move in recent years has been to join Blue Meridian Partners, the high-powered funder collaborative that's looking to move $1 billion to organizations raising children out of poverty. The Sergey Brin Family Foundation gave $50 million to fund this group's work in 2016. This huge gift to fight poverty by a very prominent tech leader got virtually no attention, just as previous sizable giving by the Brin Wojcicki Foundation also tended to fly under the radar. Meanwhile, perhaps needless to say, there's a lot more money waiting in the wings here. Forbes currently pegs Brin's wealth at $48 billion. The Wojcicki sisters of Silicon Valley are still very much engaged in their careers but should be watched for greater giving in the coming years. For all the attention to tech philanthropy, it's important to keep in mind that, in many ways, this phenomenon is still at an early stage. Much bigger things lie ahead.